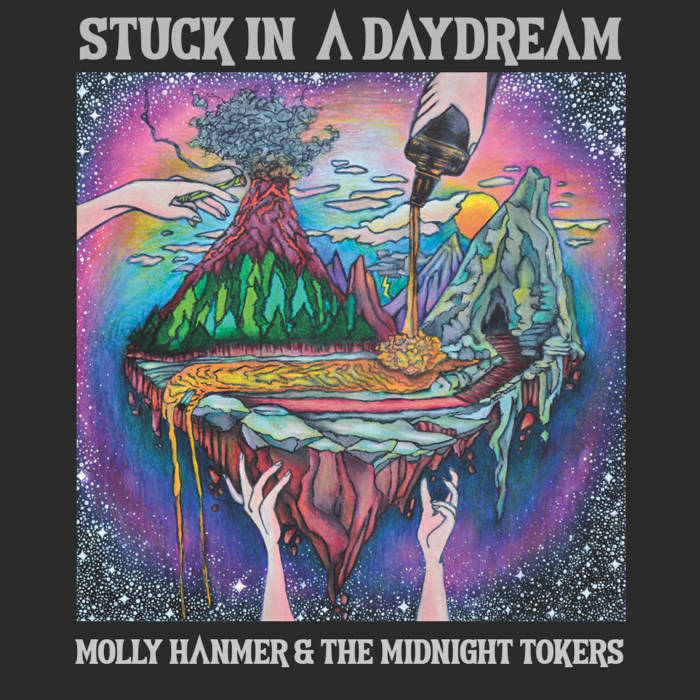 Stuck in a Daydream, by LA based Molly Hanmer & The Midnight Tokers, is a well-crafted and exuberant debut album featuring the excellent Molly Hanmer herself. It takes you through 12 tracks that don’t exactly stick to the Americana script, if there even is one. Hanmer has a way of putting her own stamp on whatever style she’s playing, and the band playing along just the same, but it’s mostly Americana, Roots and Blues music with a strong folk swagger which leaves room for all kinds of possibilities in the songs which deliver a lighthearted track list of catchy stories and lovely tunes. John Bird – Organ, Piano, Wurlitzer, Vocals, Bryce Abood – Bass Guitar, Upright Bass, Vocals. With Guest Musicians: Marvin Etzioni, David Ralicke, Ashley Jarmack and James Fearnley on various instruments. “Real Love” is one of my favorites from the album, not only is it one of the catchiest tracks, it comes off as honest as good music gets. A song you can’t find anything about isn’t easy to come by, but this is a little slice of perfection if you’ve ever heard it. Just a contagiously brilliant song, nothing more and nothing less, but the whole album does follow the same charm, it’s just an early stand out number in the set for me. I could use a stack up album’s worth of such magic, and that is putting it lightly. If it were up to me, this could be an obvious choice for a radio-ready single. The album is full of excellent tracks as they just keeping coming on strong with stuff like “Fools Run (Different Song), which is one of the epic moments with so much going on it’s not easy to describe other than to say it’s more of the same but completely different, as the title suggests. Hanmer doesn’t hesitate to draw you in and simply keep you there for the duration with everything from her great skills to her sense of humor being all she needs. This track also includes some very gritty harmonica fills that help keep it loose, but otherwise it is a masterstroke altogether. Other moments include “Old Number Seven” with quite the drinking song appeal to it, and another one of the stand out tracks “Love Song” which runs an entire 7 minutes. Hanmer and CO also get playful with tracks like “Outlaw Blues” with its vintage sound and great storytelling style lyrics. And there’s “Dead Happy” which is remarkably contagious in-its own right, with way more positive vibes in the subject matter than not. They even manage break pop barriers in the process of this fantastic release which closes with the beauty of “Mama’s In The Spirit World Now.” Top marks to Molly Hanmer and everyone involved.